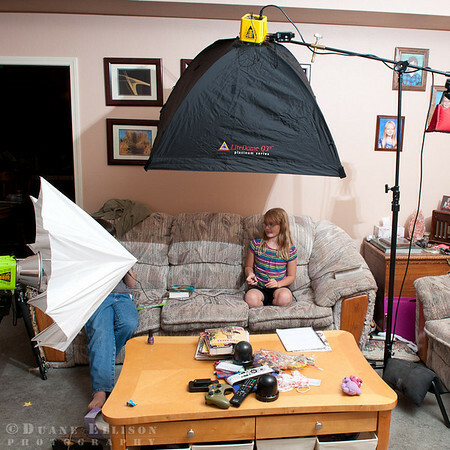 Duane Ellison Photography: Story time! 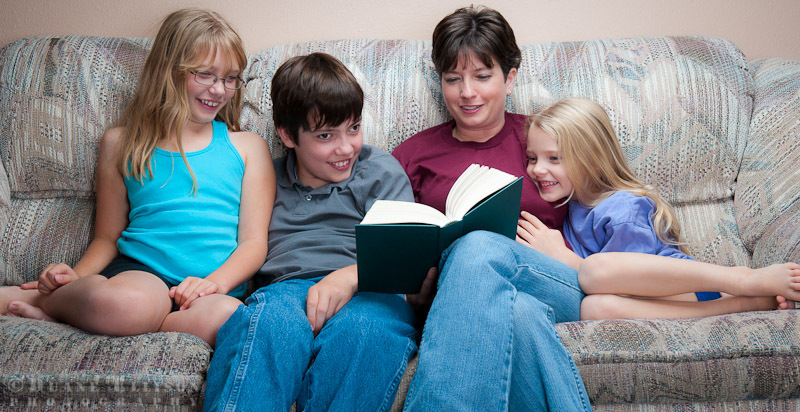 I had the opportunity the other day to shoot a "story time" shoot with the family. It has been an idea that I've had for a while and although it sounds like it would be a simple shoot the logistics of setting everything up and having everyone pause for a moment to read under the production of lights can be a little daunting. The lighting step-up is pretty simple. I used a large Photoflex softbox off a c-stand right over and slightly in front of them for the key light and I then used a simple shoot through umbrella right next to the camera for a bit of fill. It was a pretty neat setup and produced some really cute images. A selection of these images is available in my stock portfolio!